Off to the LeBook Connections event drink doo. Be interesting to see how these events pad out. I know our Hat will be selling me grandly and it'll be nice to see a few old faces. 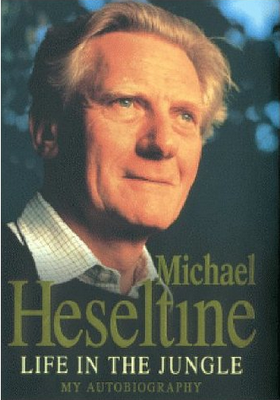 I found this image on Amazon after listening to a chat about Michael Heseltine. I shot this image years ago for a magazine and 'Hessa' kept me outside whilst his butler brought out tea with 'Tory Party' on it. A frank exchange of views followed as to how the picture should be. Infact it was an argument which I think I won, as he bought the pic for his autobiography..